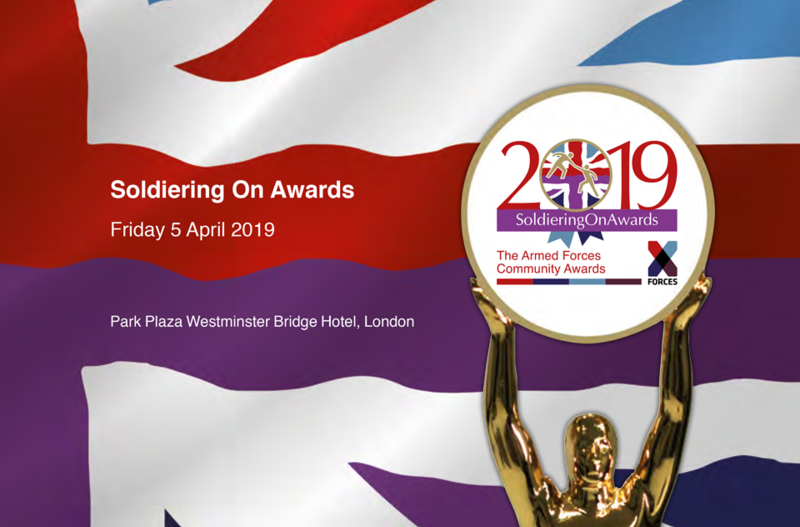 The Soldiering On Awards recognise the outstanding achievements of those who have served their country, and the diverse people and groups who work together in support of the Armed Forces Community. 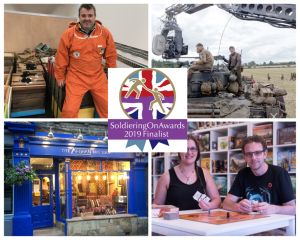 From winning the Soldiering On Awards Business of the Year award to becoming part of the judging panel for other outstanding businesses has been an exciting and humbling journey. 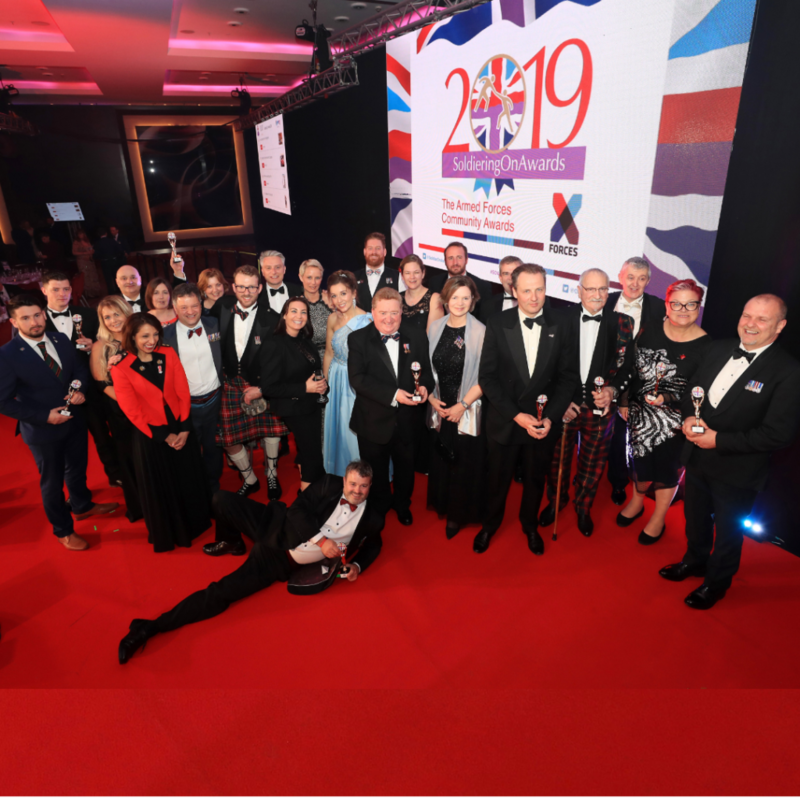 The Business of the Year- Start Up award recognises those businesses who, in a short period of trading, have already achieved great things in their first 24 months of trading. For some businesses this has been through filling a gap in the market like Bee Accountancy who provides accountancy services for the Armed Forces community. For other business, being an excellent startup has meant distinguishing themselves from others in the market, like Geocollect who have revolutionised the way in which some insurance claims are dealt by offering indisputable evidence; or through providing the highest quality service, such as British Babies who have all 5* reviews for their sales of British inspired baby clothes. 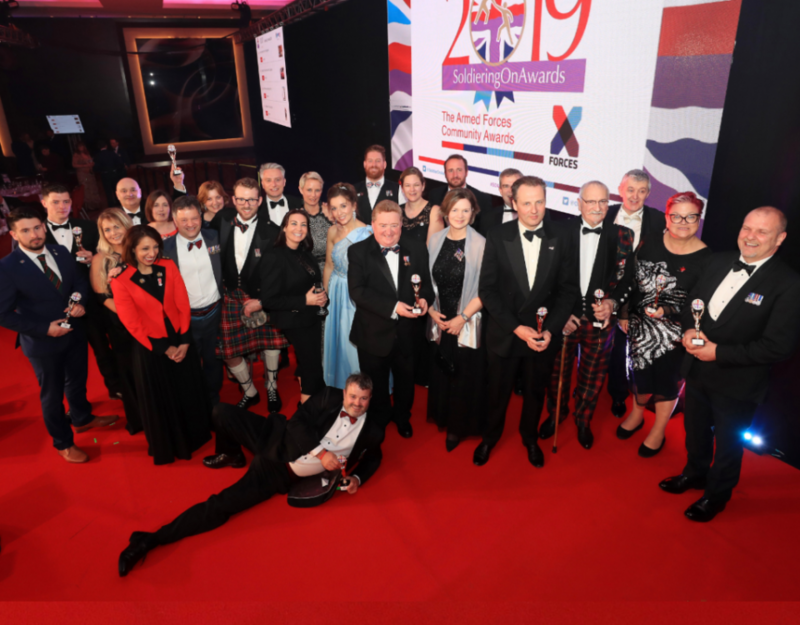 Other inspirational startups have drawn on their own experiences and applied their entrepreneurial talents to overcome adversity themselves and help others do the same, such as Y2X which helps Veterans transition from the Armed Forces to civvy street. Some startups have achieved exceptional growth, such as Network Training Partnership which has won various high profile contracts in their first few years of trading. 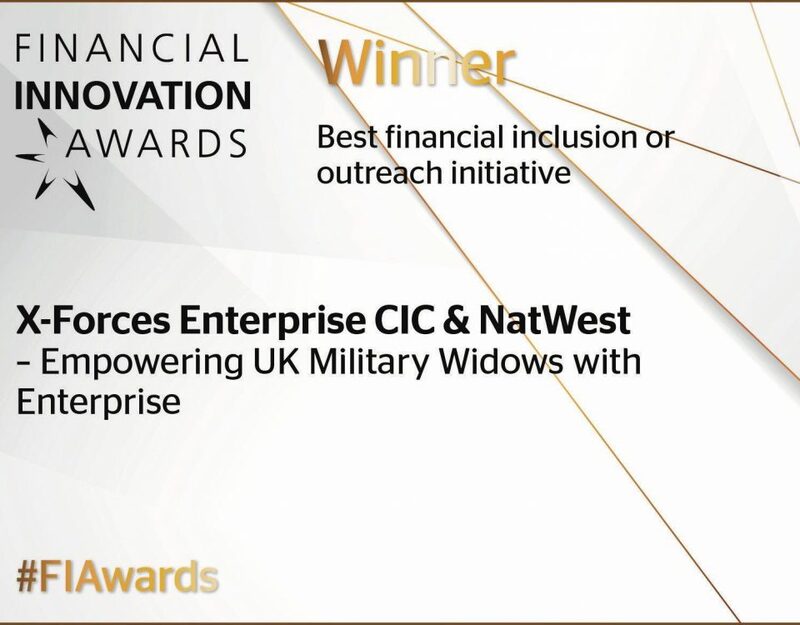 Each of these finalists are shining examples and future role models of how the military community make fantastic entrepreneurs with their dedication, discipline and resilience and are honouring their commitment to the Armed Forces community by continuing to support Veterans through their work in numerous ways. To startup a business is a huge achievement in itself, but to then scale up that business is an even more phenomenal accomplishment. The finalists of the Scale Up award have each taken the next step in their entrepreneurial journey. For White Horse Cleaning Services Ltd that has been growth through taking on a considerable amount of staff and now exploring franchising opportunities. Finalist Hannaman Materials Handling Ltd. have increased their service offerings to include over 15,000 products and have doubled their turnover since from when they acquired the company. Another fantastic example of a successful scale up comes from finalist Mama + Belle who have a following of over 40k on social media and their teething jewellery range are being sold in leading stores such as John Lewis and are now expanding their offering internationally. UK Connect have achieved exponential growth after becoming the national provider of communication solutions services to 6 FTSE 100 businesses and building a business worth over £3.7million. 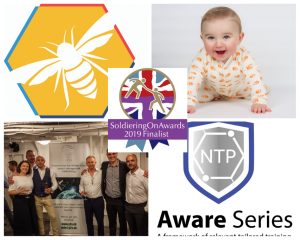 Each of these scale up finalists are an inspiration to budding entrepreneurs throughout the Armed Forces community, especially given how many of these businesses came from modest beginnings. 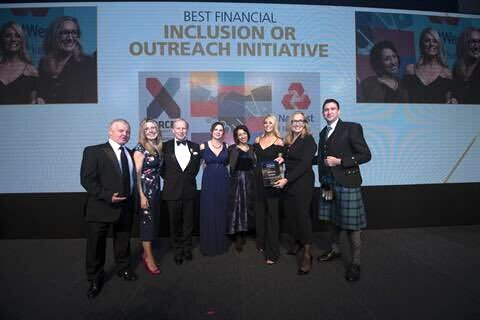 All finalists for the Business of the Year – Community Impact award are inspirational in their own right for not only maintaining successful profitable businesses, but also making a positive contribution to improving the lives of others. Finalist Services to Film provide employment opportunities to Veterans as extras in movies and have developed relationships with other military charities to support Veterans who require additional income but in a more flexible format. Finalist the Afghan Rug Shop are giving back to the community through providing an ethical service through being the only UK accredited Fairtrade rugs supplier and through making charitable contributions to Afghanaid. Finalist Taylored Games provide a platform for the local community to gather together and enjoy a real sense of community spirit through playing games together. Finalist Sinah Common Honey have made an inspirational commitment to inclusion of the WIS community by sharing his passion for producing raw honey by providing a beekeeping programme as part of a course at Help for Heroes Tidworth House Recovery Centre, and having been instrumental in producing a beekeeping suit for prosthetic limb users. 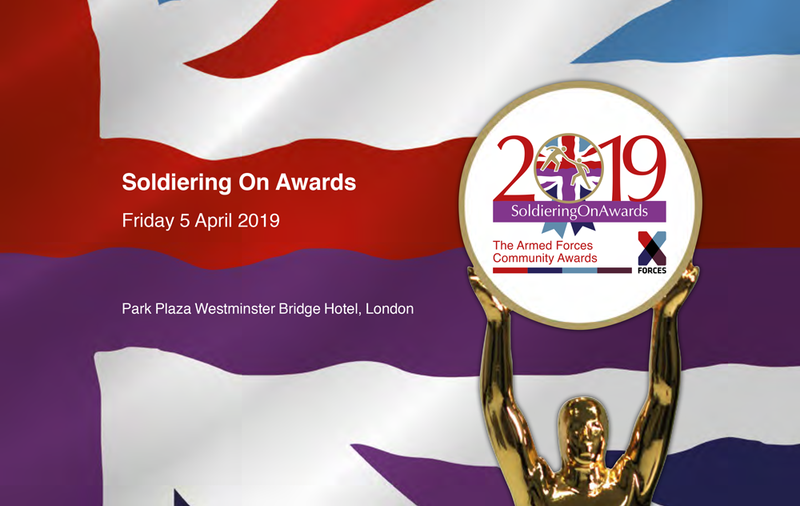 Finalists Remembered are a charity who raise awareness of the sacrifices which the Armed Forces community have made for our country and they fundraise for the medically injured veterans, and provide mentoring and rehabilitation support. All the finalists of the Business of the Year categories have done exceptionally well to have started up such successful businesses and I am so proud of each and every one of them. They all serve as an inspiration to budding entrepreneurs in the Armed Forces community whether that is through overcoming adversity, breaking into new markets or supporting a social cause. Each of our finalists deserve a round of applause and much success for their achievements. It has been a pleasure to be part of the journey and being inspired by them all and I look forward to the announcement of the winners on the 5thApril!